Home Renovations Cold Lake | Disclaimer | Cold Lake Consulting Inc.
At Cold Lake Consulting Inc., your satisfaction is our top priority. Please take a moment to read the disclaimer on this page to better understand our consulting services. All decisions are the final decisions of the customer concerning how the project is to be executed and which contractor, architect, engineer, designer or any other person or company involved in the process to be hired or retained. The same applies to the time lines and start dates. 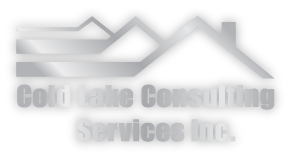 Cold Lake Consulting Services Inc. will endeavor to keep the customer informed as per the signed service agreement. The customer is completely responsible for any and all contract obligation and agreements engaged for the project and should seek legal counsel before signing any agreements with any parties involved in the project. Cold Lake Consulting Services Inc. has no control over prices and cost and is not responsible for or able to change any prices or charges from any of the parties involved in the project, the customer makes the final decision. Cold Lake Consulting Services Inc. will endeavor to keep the customer informed as per the signed service agreement. Canceling the project or any other termination of the project does not waive any fees for time chargeable by the consultant or expenses incurred up to date and are payable at this point. Although Cold Lake Consulting Services Inc. will endeavor to keep the customer informed as per the signed service agreement all parties involved in the project are ultimately dealing directly with the customer, and the customer is fully responsible for all expenses and cost incurred for the project including deposits paid for and/or any services and material either received or not yet received. The customer is responsible to comply with all and any municipal and zoning bylaws, the Alberta Building Code and the legal use of the property. Cold Lake Consulting Services Inc. has the right to cancel this agreement if the corporation becomes aware of or has proof of any unlawful transaction or activities between the parties involved in the project. For the services rendered by the Cold Lake Consulting Services Inc. as required by the negotiated agreement, the customer will pay to the Cold Lake Consulting Services Inc. compensation amounting to set fee per hour. Any and all time used on the project is chargeable which includes time on site, one way travel to site if required or any other meeting for permits at city meetings with architects and engineers and all contractors involved in the project, in connection with the project. Also communication by phone fax or email with all the parties involved in the project may be chargeable as required. This compensation will be payable biweekly. A negotiated amount will be used as deposit and a retainer and may be due when signing. The customer understands that the compensation as provided for in the final agreement will constitute the full and exclusive monetary consideration and compensation for all services performed by Cold Lake Consulting Services Inc. and for the performance of all promises and obligations made by Cold Lake Consulting Services Inc. under the final agreement.